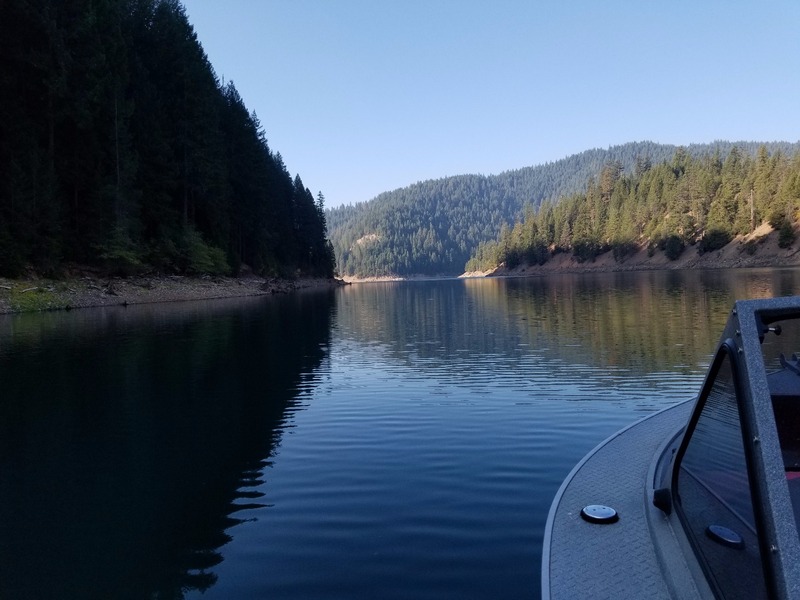 If your looking to get a good bend in your rod the Klamath is the place to go. 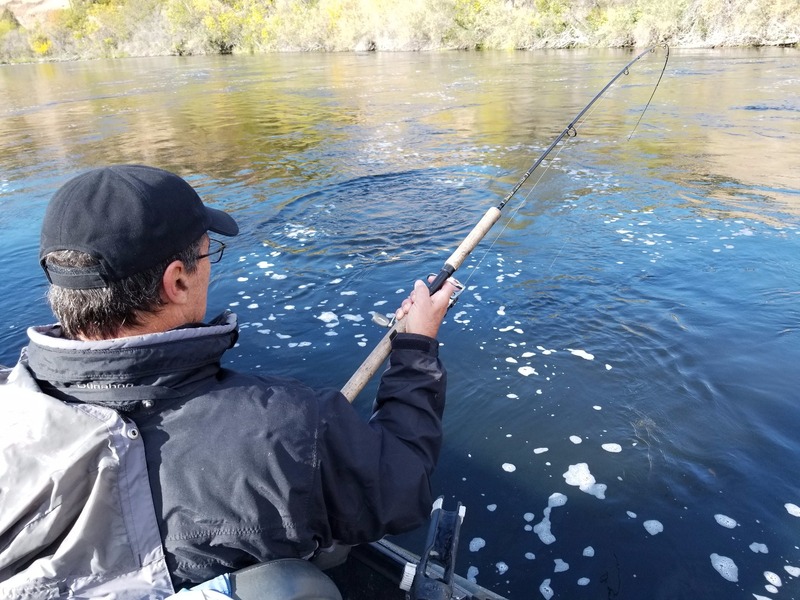 Fishing over the previous 3 days produced steady action while using a variety of techniques. 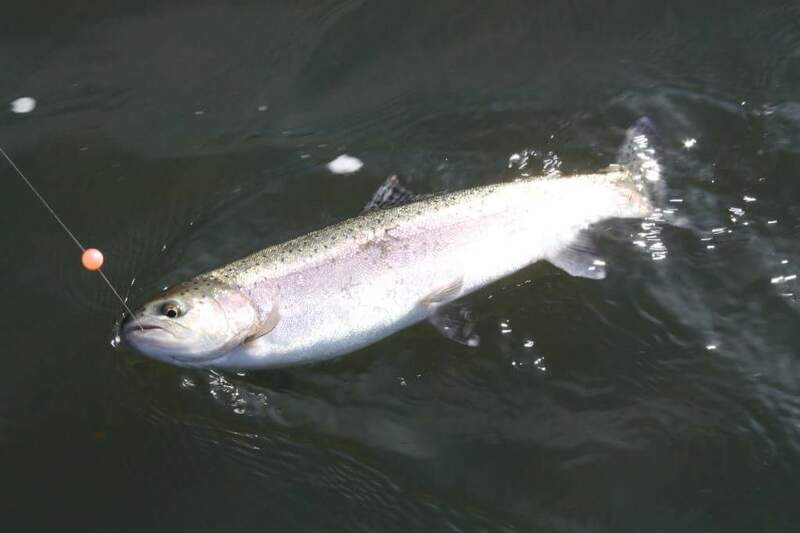 Salmon and Steelhead have been caught while back trolling plugs, bouncing bait, casting spinners, and fly fishing. 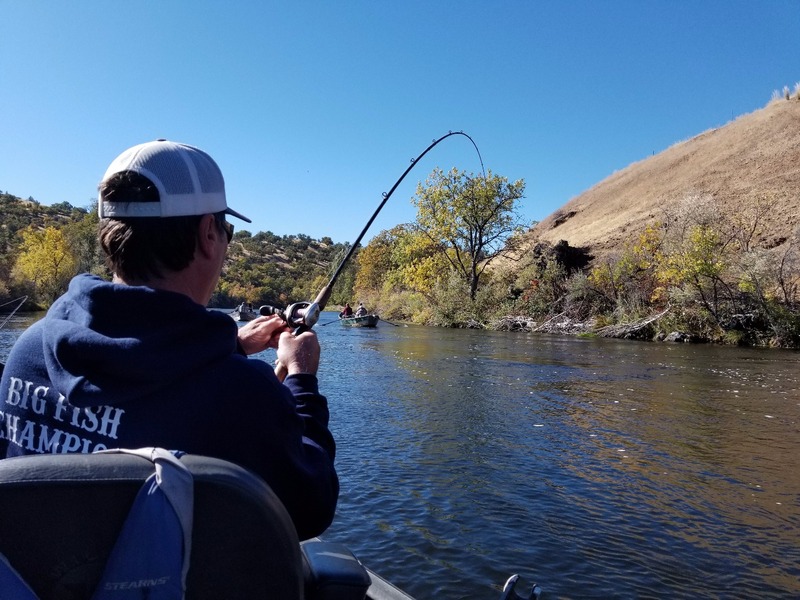 Fishing on the Klamath has been mostly catch and release but a couple of hatchery steelhead were caught and harvested this past.week. 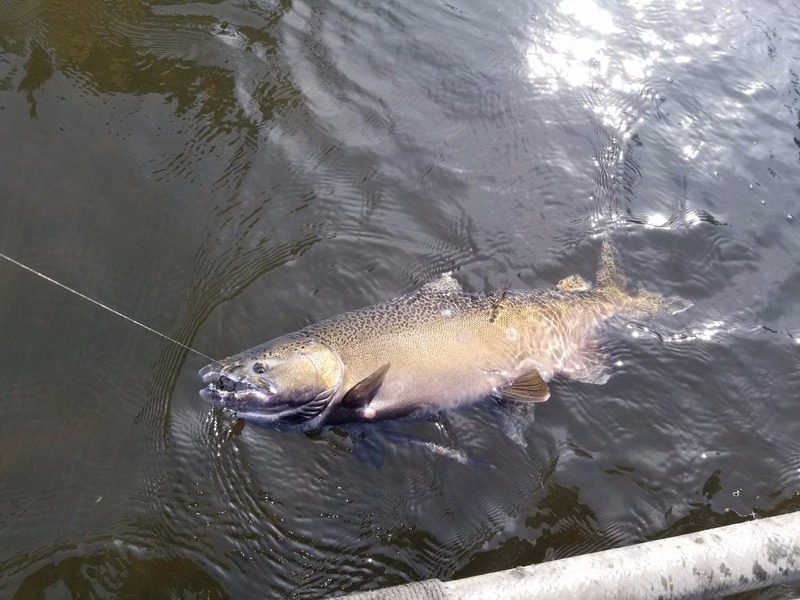 Salmon are beginning to spawn and as we near the end of October Steelhead fishing will be in full swing. 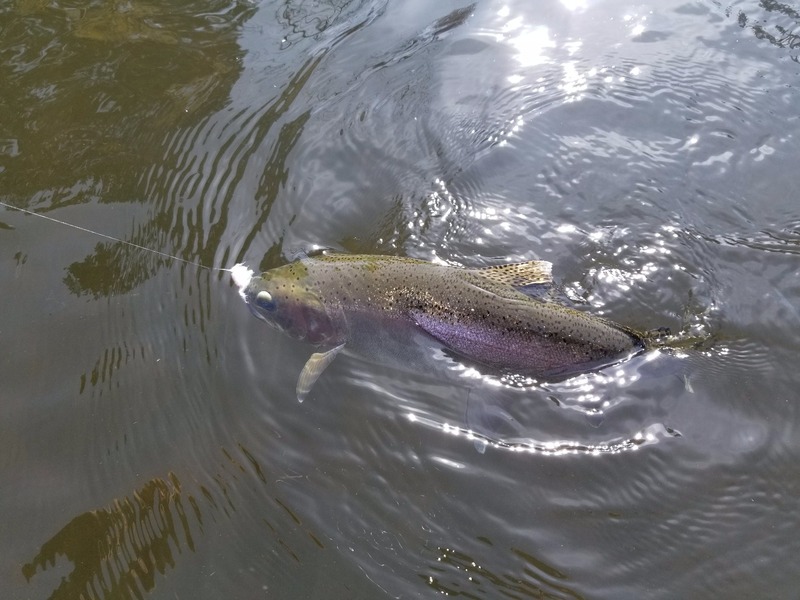 The 2017/18 Fall Winter Steelhead season is shaping up to be another productive one. 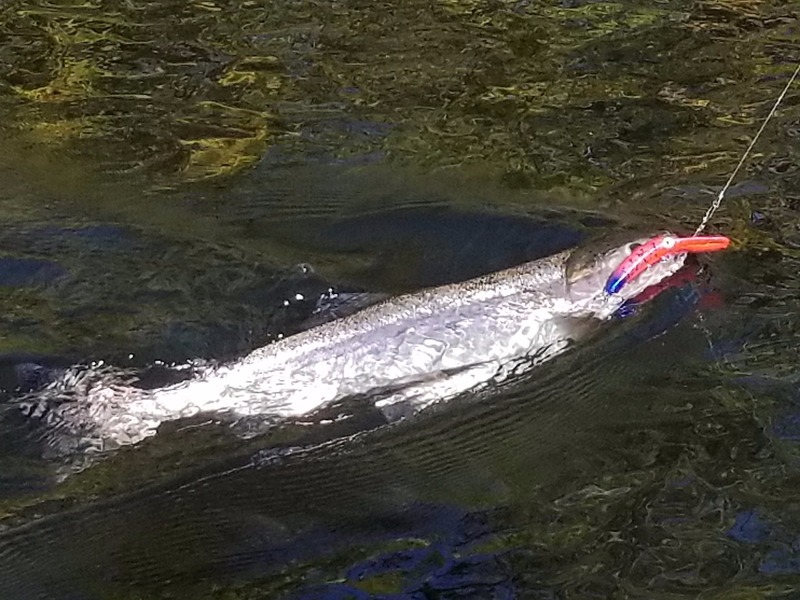 Thousands more salmon are in the river and they will provide many more easy meal opportunities for Steelhead. 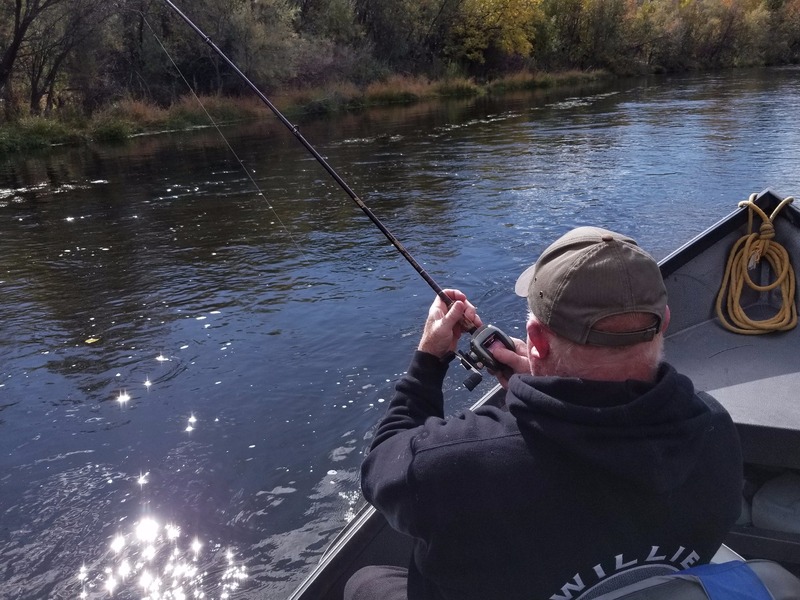 Therefore providing fisherman many more opportunities to fish for them. Checkout my Booking Calendar and let's get the rods doubled over!